The findings, to be displayed this week at Shilo, include hewn holes in which wooden beams could have been placed. 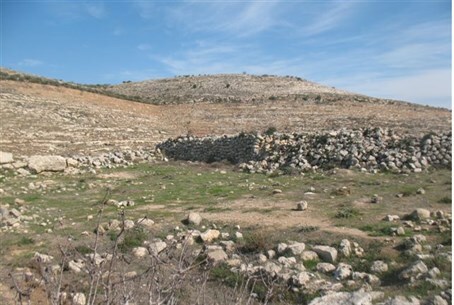 Archaeologists say they have found the remains of the Biblical Israelites' Tabernacle at site of ancient Shilo. The Tabernacle precedes the Temples and dates to the period between the conquest of the Land of Israel by Joshua and the rise of King David. Past findings at the hills that surround the site included what researchers say are the bones of sacrificed animals that were eaten by the Israelites who came to Shilo. The dating of the bones corresponded with the Biblical dates for the activity of the Tabernacle at Shilo.